Now this is a very unknown thing, and it was a real surprise when someone finally noticed it. 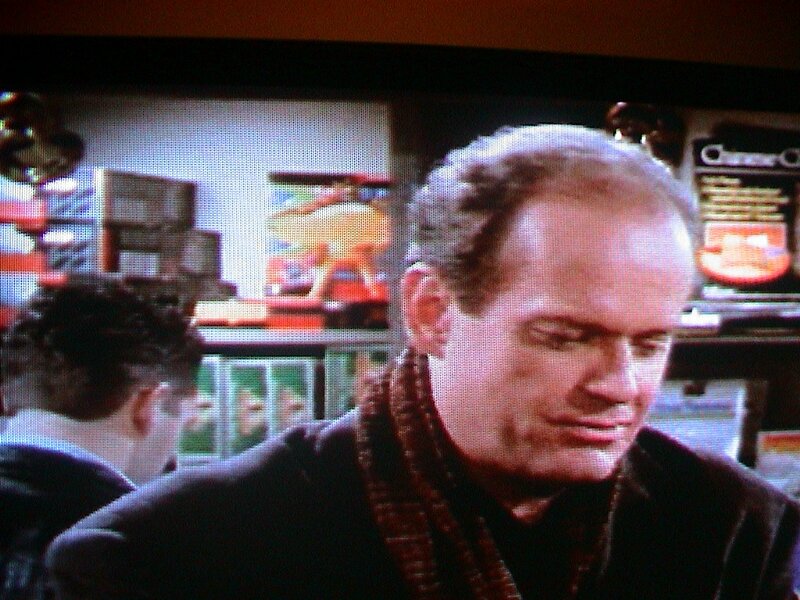 In Episode 9 of Season 3 of Frasier , the giant EarthBound boxes make a cameo! The main box is seen several times from a few different angles, and is situated next to a stack of Super NES boxes. This was the 1995-1996 season, which coincides with EB’s release exactly. I don’t know how long it takes to make an episode of a TV show, but since Episode 9 aired in December 1995, it must’ve been recorded not too long after the game was released. It’s pretty rare for EB to get any kind of recognition or even any kind of cameo in anything, so this is pretty cool. The fact it’s something that’s secretly existed for all this time makes it even neater somehow. I checked for the episode on YouTube (see 5:30), but the quality’s so bad you can barely see anything. If someone can get a better version of this clip, please do so and let me know so I can post it here sometime! UPDATE: The video got taken down, so check out this one. POLL: Do you like Frasier the TV show? I dunno, but I think I like it now! 31 Comments to EarthBound on Frasier! I wonder if there is anymore earthbound stuff in shows. And just think… if not for the giant box, this most likely never would have happened. Yuck Frasier. Seriously, who watches this crap? How the hell do people even notice these hidden earthbound things that are shown on TV for less than a second lol. Did you notice the other video game box that found its way into this segment? I don’t know why I didn’t notice the EB reference sooner. My mom has all the DVDs and watches them pretty frequently. I also remember seeing SNES boxes in an episode of 3rd Rock from the Sun in which I did keep an eye out for an EB box, but didn’t see it. 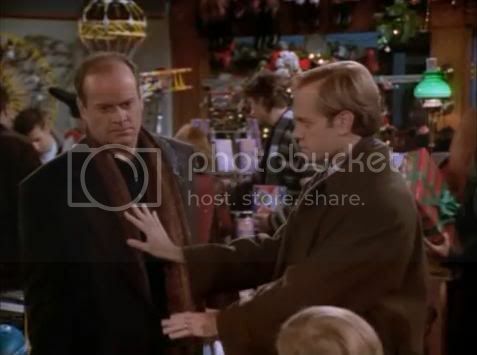 I knew Fraiser was an intelligent show. That’s just awesome. I’ve never heard of the show, buuut… Earthbound sneaking into the public eye (even if it was well over a decade ago :P) is still neat! I’ll be watching Frasier reruns just to see if I can spot it. What episode is it? That is pretty Damn nifty I never watched Fraiser man at that time I was still glued to nickelodeon watching Kablaam, Ren and stimpy, and Ahhh Real Monsters, oh yeah can’t forget Angry Beavers :P.
^Hey, don’t leave out Rocko’s Modern Life and Kenan & Kel! i’ve loved that show for years and now i love it more! Was just watching Frasier on Netflix and saw this in the background. Was gonna screencap this for the site, glad it’s been found out!